These are another 2 poloishes that have been sitting in my untrieds to quite some time now. They needed some love so I put them together and they made magic. I am a huuuuge fan of Jindie Nails and everything that Jen does. She is such a sweetheart and I love her polishes. 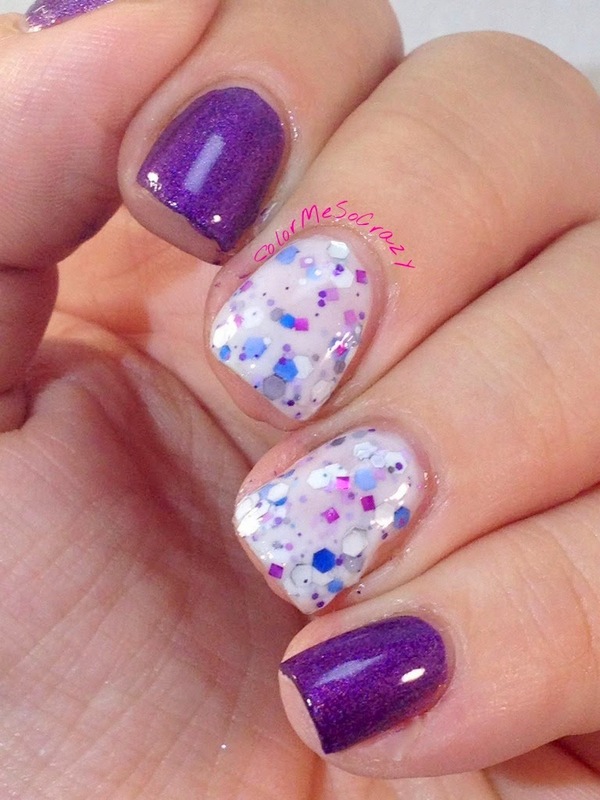 Tried and True is a white crelly with gray, magenta, blue, purple, pink and silver different sized glitters. I love me some Jindie crellys. She always does an awesome crelly. The AquaDaisy is called Shazaam and it is my favorite color- purple!! 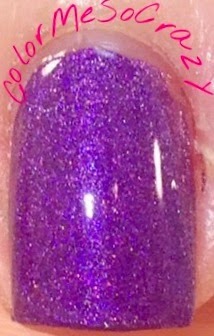 This is a royal purple with scattered holo and get this, it's a one-coater. I mean, you have to add 2 coats because that's my thing, but it truly is opaque in 1 coat. I picked these two polishes because I think they really rock together. This is my first time using Aquadaisy Nail Polish and it was really nice. The application, the color, the finish. Really nice, overall. 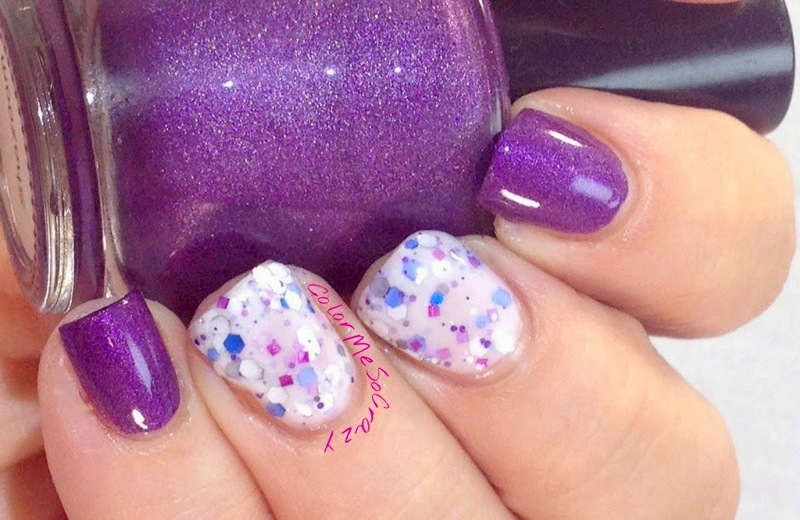 Do you own any Jindie Nails polish?? If so, what is your favorite? How many do you own? If you don't own any, I highly recommend buying one. 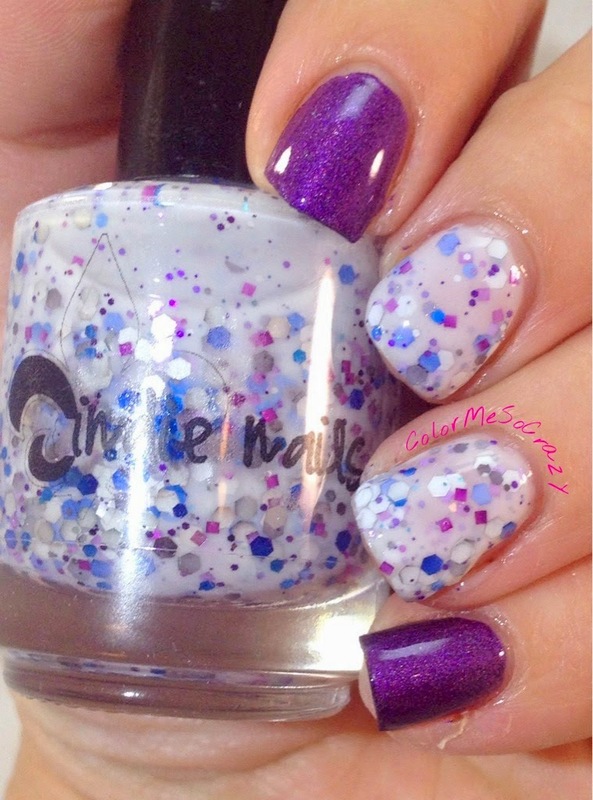 She has a lot of great polishes up in her shop right now, too. Go over and scope it out!! I have a few (like 20ish) Jindie Nails and I have never been disappointed. I have loved them all and they even have their own special box in my nail room.